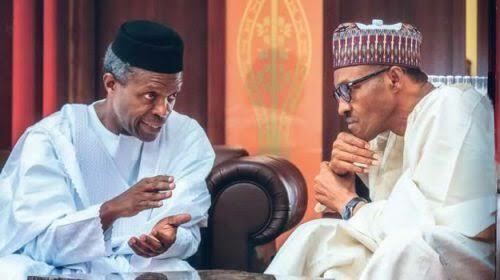 to Vice-President Yemi Osinbajo that the triumph of President Muhammadu Buhari in the 2019 presidential election would ensure South-West Presidency in 2023. For what reason is APC Presidency promising two regions the President at once? Osinbajo, who on Saturday went on a house-to-house campaign in Oyo, Oyo State, and held a 45-minute closed-door meeting with the Alaafin, Oba Lamidi Adeyemi, said the 2019 presidential election mattered to the Yoruba people of the South-West because the geopolitical zone had a larger interest in 2023. “Yoruba have a lot to contribute to Nigeria for the 2019 elections. It is for us, Yoruba; if you understand, it is for us. We are not looking at 2019, but 2023. If we don’t get it now, it may take some time again,” Osinbajo had said. But Afenifere’s spokesperson, Mr Yinka Odumakin, in an interview with one of our correspondents, wondered what the Yoruba people had gained since Osinbajo became Vice-President. He noted that Osinbajo had so far opposed all the things that were dear to the Yoruba people, including restructuring. Odumakin said, “In the four years that he (Osinbajo) has been vice-president, what has he done for the Yoruba people? “All the things that are dear to the Yoruba, he has opposed including restructuring; he has sided with the oppressors of the Yoruba people. “When they killed the Yoruba evangelist of the Redeemed Christian Church of God under his nose in Abuja as vice-president, did he say a word? But because he wants to contest election in 2023 — himself, (Asiwaju Bola) Tinubu and (Babatunde) Fashola are fighting for election — he now remembers that he’s a Yoruba man and he wants to come and spread division among us. The Afenifere spokesman restated that in 2019, what the Yoruba wanted was restructuring of Nigeria by means of true federalism. He said the Yoruba would only support a candidate with plans for restructuring. “We have had an eight-year presidency. The Ijaw have had six years. The North have had more than everybody. But what is their lot? It’s poverty. “We don’t want to stay under this arrangement. The arrangement we want is where we will have control over our fears and for every citizen of Nigeria to develop at their own pace. “That is certainly what we want and that is what Buhari, Osinbajo and the All Progressives Congress have said they don’t want. We will reject that at the polls,” he said. 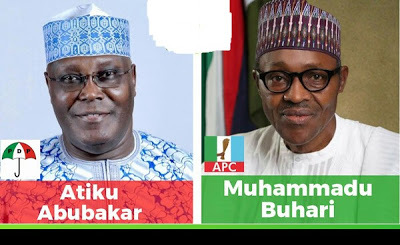 Also, the PDP Presidential Campaign Council on its part said the APC and the Muhammadu Buhari Presidency in their desperation to hang onto power had resorted to trading with the lure of 2023 Presidency. In a statement signed by one of the council’s spokespersons, Mr Kassim Afegbua, it said the present government had promised both the South-East and South-West geopolitical zones the 2023 Presidency in exchange for votes. The statement read, “Giving out two promises has exposed the insincerity and dubious intention of the Buhari-led Federal Government with the people of the South-East and South-West geopolitical zones with empty promises of bequeathing power to the two zones at the same time in 2023. “This is why Nigerians cannot take the APC and the Buhari Presidency’s seriously any longer as we prepare for the 2019 elections. “Speaking on behalf of President Buhari in Owerri last week, the Secretary to the Government of the Federation, Boss Mustapha, told the APC that the President would hand over the reins of power to a south-easterner, while calling on the people to support Mr President. According to the council, two principal officers of the same government cannot be fooling Nigerians with vainglorious promises all in the name of re-election. It stated that such discordant tunes by the first and second citizens of Nigeria had exposed lack of synergy and display of double standard and doublespeak by the chieftains of a government, he alleged, had continued to display wanton desperation to hold onto power at all costs in the face of monumental failure. It added, “How can the President be promising south-easterners the Presidency when his Vice-President is also promising the south-westerners same position in 2023, all in the name of 2019 re-election? “This is a clear show of deceit, desperation, crass insincerity and hypocrisy of the highest order. This is a clarion call on south-easterners not to trust such carrot being dangled before them as it has become obvious that this government neither fulfils promises nor keeps any covenant.